After more than 40 years in the Department of Chemistry, Professor George Bodner retired in January 2019. 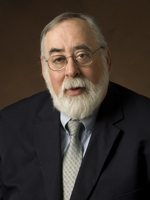 Later this month (Feb 12) our department will recognize his years of service at Purdue. Dr. Bodner came to Purdue in 1977 as an assistant professor after three years at the University of Illinois at Urbana-Champaign and two years at a liberal arts college. He was hired here to teach General Chemistry and implement a TA orientation program he developed at UIUC. In 1981, he and Dudley Herron proposed the creation of the chemical education graduate program that has graduated more than 100 Ph.D.'s. On the basis of his work with the chemical education program, he has received the ACS George C. Pimentel Award in Chemical Education and the ACS Award for Achievement in Research for the Teaching and Learning of Chemistry as well as the RSC Nyholm Prize for Education. As a teacher in our department – adding the number of semesters he taught the CHM 115-116 course sequence, the CHM 255-256 sequence, and the CHM 372 PChem course – Dr. Bodner has instructed more than 50,000 students at Purdue! Dr. Bodner held faculty positions in the College of Education and the College of Engineering at Purdue. In 2005, he was involved in creating the School of Engineering Education, which has grown from four to more than 20 faculty. He is the author of more than 150 papers and more than 50 books or laboratory manuals. As Professor Emeritus, Dr. Bodner has agreed to remain Chemistry Education division head through the end of the 2019-20 academic year.